Mirova received two awards at the first Euromoney/GlobalCapital Sustainable & Responsible Capital Markets Forum: “Most Impressive Green/SRI Investment firm” and “Most Impressive Green/SRI Investor” for Christopher Wigley, manager of the Global Green Bonds strategy. The awards were presented on 6 September at the Sustainable and Responsible Capital Markets Forum in Amsterdam. Once again, Mirova teams received international recognition for their hard work. Mirova has always focused on developing investment strategies that finance players and projects working towards an economy that supports sustainable development when investing in major asset classes such as equities, fixed income, socially responsible investing and infrastructure. 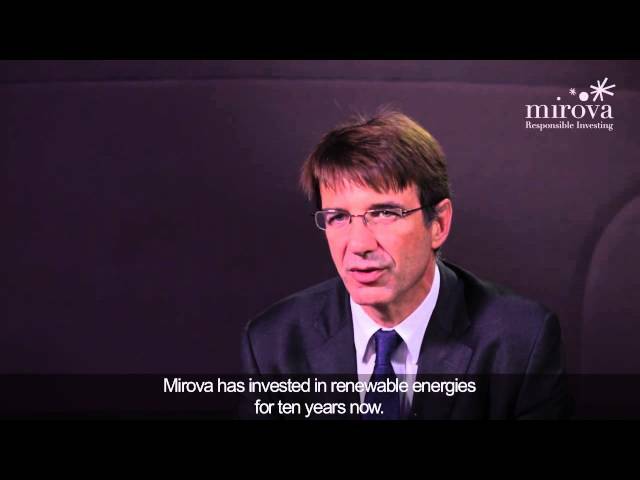 Since 2012, Mirova has notably supported the development of green bonds within its Euro Sustainable Aggregate fund, Euro Credit fund and Global Green Bonds strategies. Mirova strongly increased the proportion of targeted assets in these portfolios and currently has invested more than €850M at end August 2016. Methodology: the awards were the result of a poll surveying various European market players, including investment banks, ratings agencies and institutional investors. GlobalCapital invited voters to choose the most impressive players based on market share, innovation and ability to meet investor needs. References to rankings, awards and/or ratings are not an indicator of future performance by the fund or the fund manager. The methodology is available on http://www.globalcapital.com.